“Those whom the gods wish to destroy they first make mad.” This certainly seems to ring true when looking at the current state of the Labour Party. When analysing the comments and actions exuding from Labour representatives and thereby extrapolating its current direction or lack thereof it is clear that it is reaching a political cul-de-sac. This might have come as a shock if it were not for the fact that this is only the latest statement in a mounting list of evidence for the Party’s complete degeneration. No matter which area of policy is looked at, the Labour Party seems to barely go beyond apologism for the last 5 years of Con-Dem austerity in a political manifesto that is as anaemic as it is sophistic. This is to be expected of a party which long ago did away with even giving lip service to the ideas of Socialism with the purging of Clause 4 under Blair. This, coupled with the effective neutering of the Trade Union voice through the Collins Review is very telling of the Party’s gradual but inevitable bourgeoisification. As the leadership continue to break away from the party’s historical roots they will only hasten their demise; a fate which is evident in that their entire existence has become that of simply putting the brakes on Conservative austerity and privatisation rather than seeing any reversals. The significance of this is crucial because it is evidence that the Labour Party’s leadership is ailing from the fact that it has no alternative to offer and so spends its entire time reacting to Conservative policies rather than offering up anything that goes beyond being the lesser of two evils. If the Labour leadership were to listen to the diminishing number who still cling to the Labour Party in the hope that it will shift direction, or better yet listen to those who have been completely disillusioned it would easily be able to put together a bold programme. Rather than simply increasing spending on the NHS why not reverse the privatisation which has opened up the funding gap? Rather than promising to freeze energy bills, why not renationalise the utilities? Rather than reducing fees from £9,000 a year to £6,000 a year why not scrap fees altogether? It’s insulting enough that the Labour Party are dressing up a reduction of fees as a step forward when students graduating as late as September 2014 will have only had to pay £3,000 a year. How much angrier will the firefighters, teachers, NHS workers, local government workers and many others be when Labour offers up nothing but excuses for why Conservative policies that have led to the degeneration of pay, terms and conditions to all these workers cannot be undone? Such a move will only bear the same result as their disastrous coalition with the Tories and Lib Dems on the issue of Scottish Independence. The Pasokification of the Labour Party appears to be a question of when rather than a question of if as it is following the same course of action as Greece’s Pasok party. Pasok continued to implement austerity when it was voted into power in 2009 and has now completely collapsed as Syriza’s anti-austerity message propelled them to take the most seats, largely at the expense of Pasok. The troika’s (European Central Bank, IMF and EC) strangulation of the hopes of Greek the working-class cannot last as anti-austerity parties gain traction in countries like Spain and spread across Europe. Moreover, unless Syriza stops retreating from its pre-election promises, the working-class could potentially sweep away the current leadership to secure the relief from austerity it was promised, so long as disillusionment does not set in. However, for this to take hold there is a need for the development of a socialist leadership which has the confidence to take on the Troika even if doing so means Grexit. The feeling around for a vehicle through which to oppose austerity resonates with the current picture in Britain. It seems that even some of the trade union leadership, in anticipating backlash from its rank and file membership which have been at the receiving end of cuts made by Labour led councils, are cautious about putting forward Labour as a solution to the problem of the Tories. A pamphlet recently sent to Unite members urging them to register to vote so that their voices can be heard in the elections clearly gives tacit support to the Labour Party but dares not mention them by name. Instead, the pamphlet talks about tuition fee hikes, the bedroom tax and the NHS and pushes union members to vote for a party which can protect these things. It seems that the trade union officialdom are just as embarrassed of putting forward their alleged political voice as the Labour Party leadership are embarrassed of strikes and its party’s historic working-class roots. There is a desperate need for a political alternative that has a programme that reflects the growing feelings of anger at the relentlessness of cuts that have been passed by a rainbow coalition. Labour, Tories and the Lib Dems are committed to continuation of current spending plans and the likes of UKIP and the Greens have posed as an alternative but have shown themselves to be more of the same. 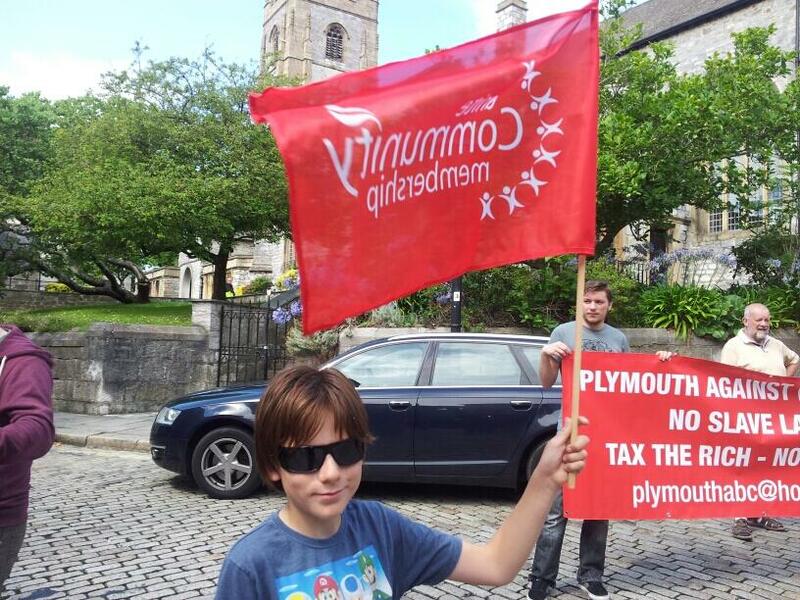 Whether it is UKIP Councillors in Plymouth voting against an implementation of the living wage for agency workers employed by the council or Greens in Bristol attempting to close down 7 libraries, it is clear that actions speak far louder than words. 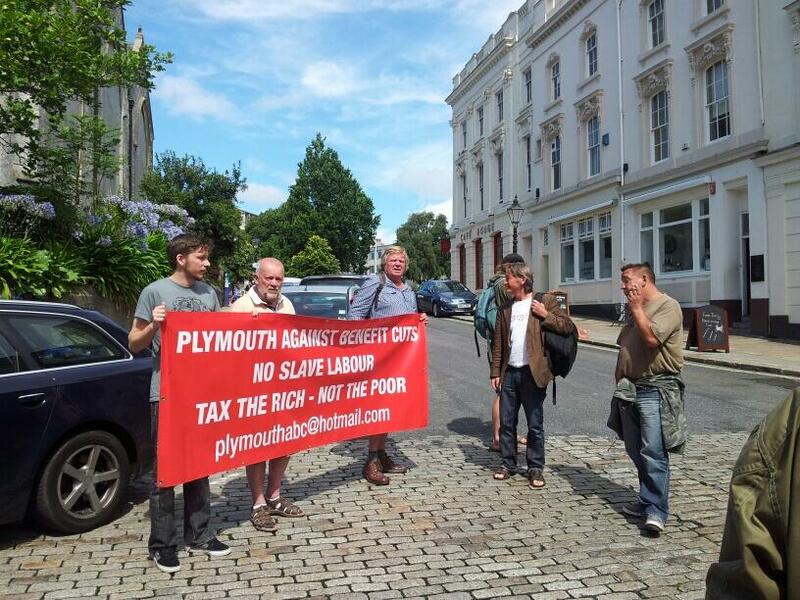 This is where the Trade Unionist and Socialist Coalition (TUSC) enters, stage left. 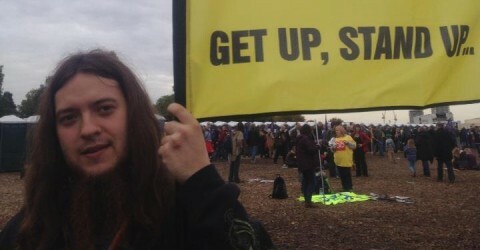 TUSC mounted a mammoth 560 candidates in the local elections last May and is set to mount over 130 parliamentary candidates this year as well as 640 candidates in local elections taking place at the same time. 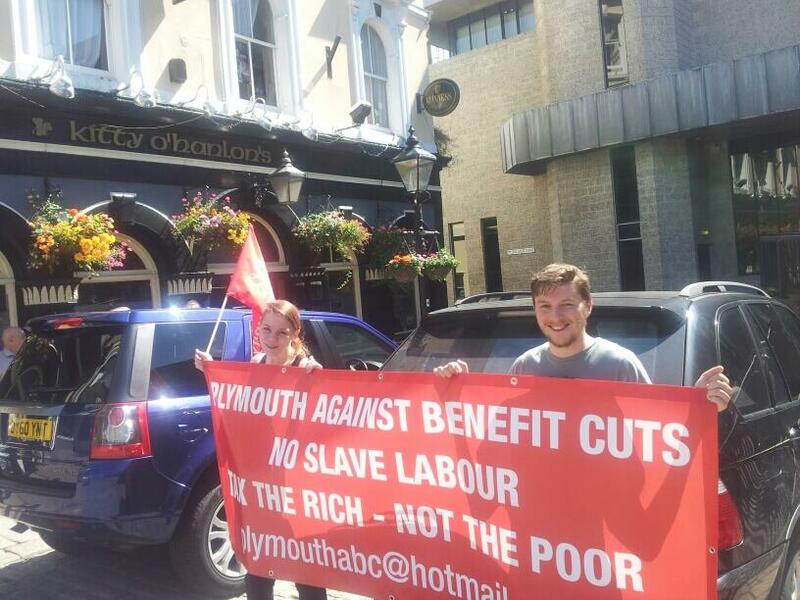 TUSC has a growing number of Councillors up and down the country putting forward a principled stance of refusing to administer cuts as a means to protecting jobs and public services. Having now achieved the threshold to qualify for a political broadcast, the national media blackout on TUSC can finally be lifted meaning that millions of people up and down the country can finally hear about TUSC and embrace the only party that will offer a genuine alternative to austerity and misery this May. 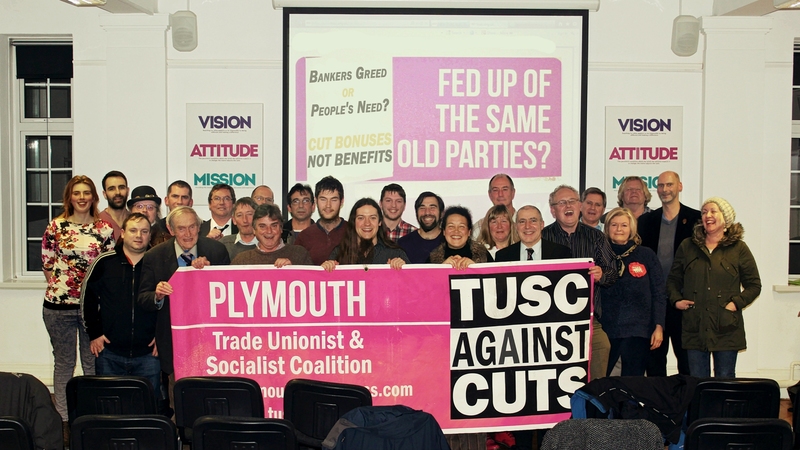 A vote for TUSC is a vote against cuts but moreover the growing support for building local TUSC groups and steering committees means that the foundations of a new workers’ party are firmly being laid down. TUSC has a comprehensive programme and can only build on its accumulating success to replicate the anti-austerity mood which is starting to sweep across Europe. Capitalism offers no way out of this protracted crisis, Socialism is the only way forward for working-class people and the future of the planet.